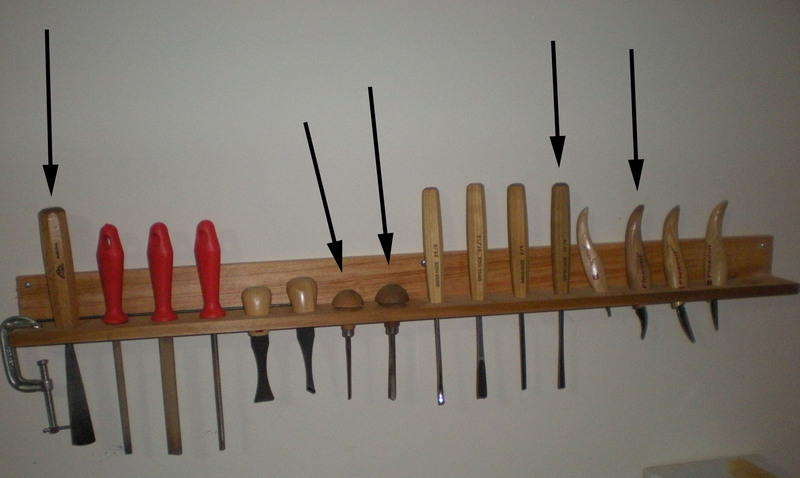 These are the tools that I use to carve. The arrows point to the tools that I use most. The knives are on the right. These are used for "stop cuts" -- cuts that are used for delineation. "Stop cuts" basically tell me where to stop carving. The knives are not really used to remove wood. This task is done via the gouges that you see. These tools essentially scoop wood away from the carving. I've learned along the way that keeping tools sharp is one of the most important things you can do, and learning how to sharpen tools required me to attend a class on the subject. 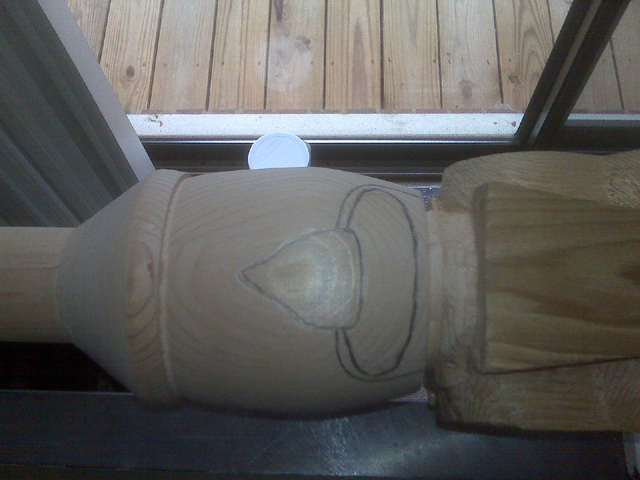 The carving is roughed out on a lathe -- the hat and head are proportioned, and the arms are exposed from the torso. 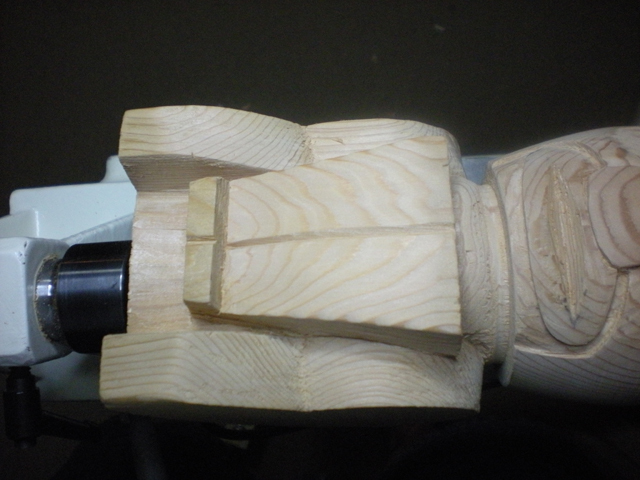 Not only can the lathe assist with symmetry, but it is also a great safety device, as it acts as a vise, preventing me from risking injury while holding the carving in my hands. 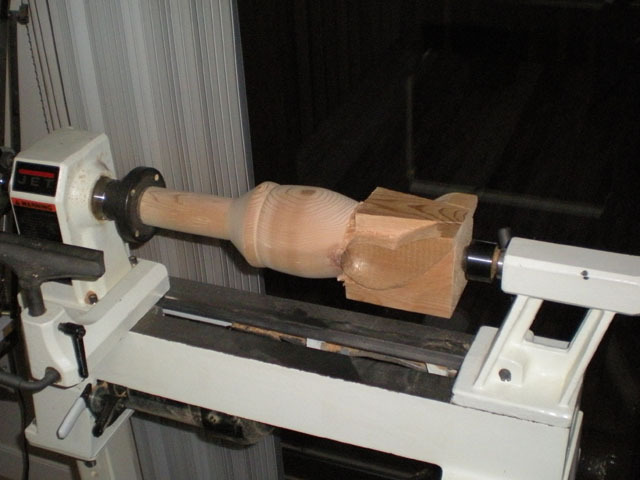 Throughout the entire project, the carving will be suspended in the lathe. 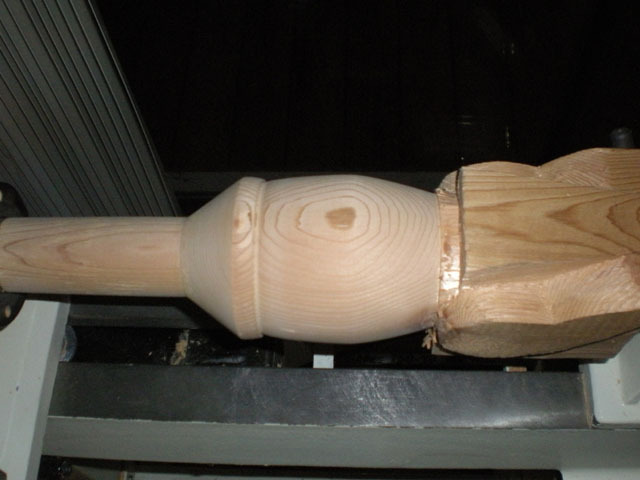 Here you see more detail of the roughed-out carving. The hat, head and shoulders have been roughed out. 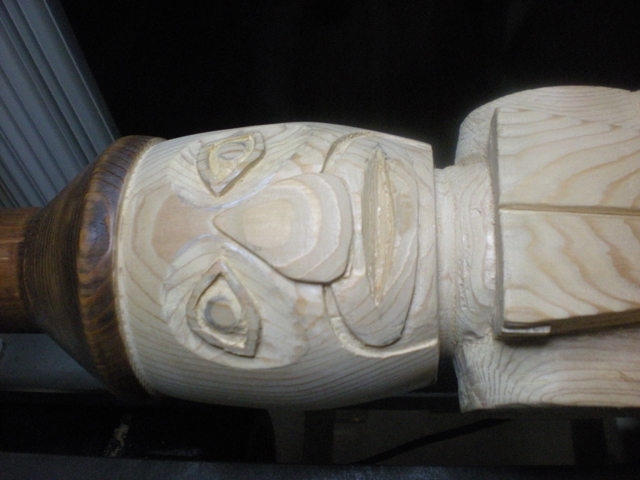 The next step is to carve in the mouth and nose, followed by the eyes. After that, detail of the arms and legs will be done. 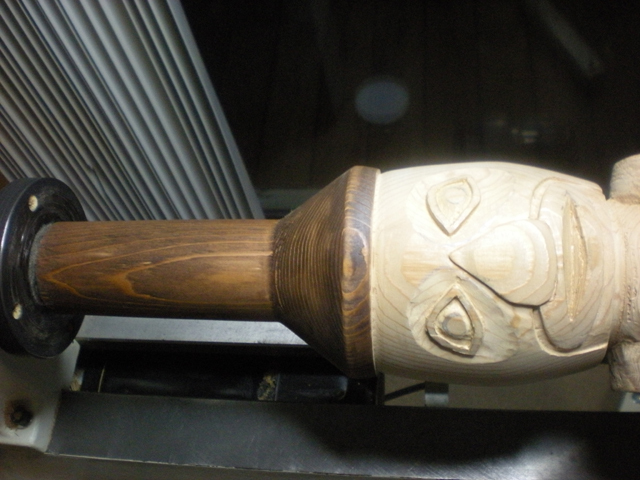 The fact that the grain of the cedar is aligned with the center of the face may make for a pleasing result. Here is the detail of the cuts that will be made for the mouth and the nose. The nose and mouth have been exposed from the rest of the face, and the eyes have been penciled in. The outer circle will be recessed to the point of the eyelid, which will remain exposed. The cedar's grain structure is nicely symmetric with the face of the carving. The eyes have been recessed, and the eyeballs have been exposed. The mouth has been cut. The legs have been exposed, along with the feet. 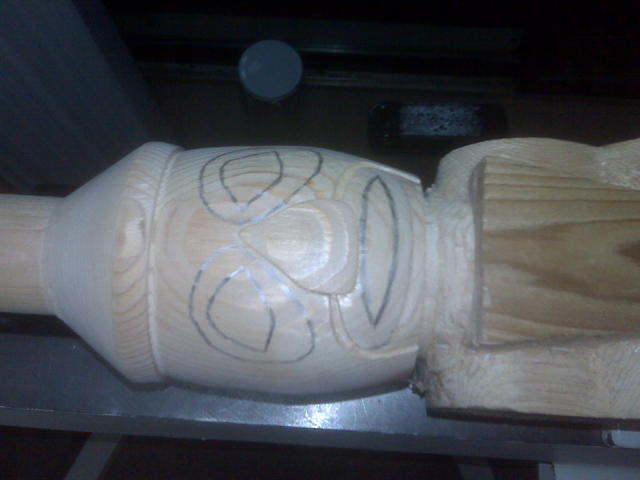 I have stained the Haida Man's hat. He now looks like he's ready to host a Potlatch.